SOCS1 is a negative feedback regulator of cytokine and growth factor receptor signaling, and plays an indispensable role in attenuating interferon gamma signaling. Studies on SOCS1-deficient mice have established a crucial role for SOCS1 in regulating CD8+ T cell homeostasis. In the thymus, SOCS1 prevents thymocytes that had failed positive selection from surviving and expanding, ensures negative selection and prevents inappropriate developmental skewing toward the CD8 lineage. In the periphery, SOCS1 not only controls production of T cell stimulatory cytokines but also attenuates the sensitivity of CD8+ T cells to synergistic cytokine stimulation and antigen non-specific activation. As cytokine stimulation of CD8+ T lymphocytes increases their sensitivity to low affinity TCR ligands, SOCS1 likely contributes to peripheral T cell tolerance by putting brakes on aberrant T cell activation driven by inflammatory cytokines. In addition, SOCS1 is critical to maintain the stability of T regulatory cells and control their plasticity to become pathogenic Th17 and Th1 cells under the harmful influence of inflammatory cytokines. SOCS1 also regulates T cell activation by dendritic cells via modulating their generation, maturation, antigen presentation, costimulatory signaling, and cytokine production. The above control mechanisms of SOCS1 on T cells, T regulatory cells and dendritic cells collectively contribute to immunological tolerance and prevent autoimmune manifestation. On other hand, silencing SOCS1 in dendritic cells or CD8+ T cells stimulates efficient antitumor immunity. 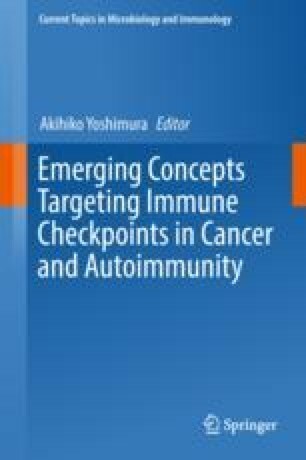 Thus, even though SOCS1 is not a cell surface checkpoint inhibitor, its regulatory functions on T cell responses qualify SOCS1as a “non-classical” checkpoint blocker. SOCS1 also functions as a tumor suppressor in cancer cells by regulating oncogenic signal transduction pathways. The loss of SOCS1 expression observed in many tumors may have an impact on classical checkpoint pathways. The potential to exploit SOCS1 to treat inflammatory/autoimmune diseases and elicit antitumor immunity is discussed. SI and SR acknowledge funding support from Natural Sciences and Engineering Research Council of Canada (NSERC) Discovery Grant.